You may have dealt the Enclave a serious blow at Project Purity, but their forces are still out there, and still pose a grave threat to the people and security of the Capital Wasteland. In Broken Steel, you'll continue your current Fallout 3 character past the events of Project Purity, and work with the Brotherhood of Steel to eradicate the Enclave threat once and for all. 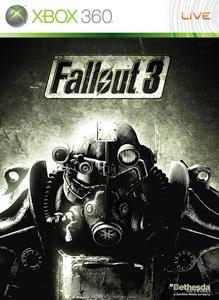 You'll travel to new locations like the Olney Powerworks, wield destructive new weapons like the Tesla Cannon, fight powerful new creatures like the Super Mutant Overlord, marvel at the destructive power of Liberty Prime, earn new Perks like the devastating Nuclear Anomaly... and play Fallout 3 all the way to level 30! There are no refunds for this item. For more information, see www.xbox.com/live/accounts.